Gavin Prout – the Knighthawk? Gavin Prout spent two seasons in New York and then six in Colorado, the last five as captain of the Mammoth, averaging 84 points per season. So it was a bit of a shock in Colorado, and throughout the NLL world, when he was traded in 2009 to the Edmonton Rush. He played with the Rush for the 2010 season and about half of 2011 before being traded back to the Mammoth. But something that many people, myself included until recently, don’t remember about Prout being traded from the Mammoth to the Rush was that it never happened. Prout, along with Andrew Potter, was traded from the Mammoth to the Rochester Knighthawks in 2009 for Ilija Gajic (some draft picks were involved as well). 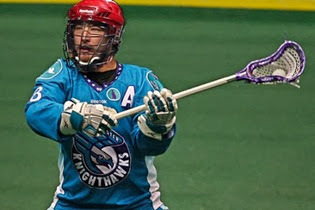 Potter had been sent to the Mammoth from the Knighthawks the previous year in the deal that brought Gary Gait out of retirement. Interesting that a guy that played all of five games in his NLL career was involved in two such significant trades. Anyway, two weeks later, the Knighthawks sent Prout and Dean Hill to the Rush for a first round draft pick. 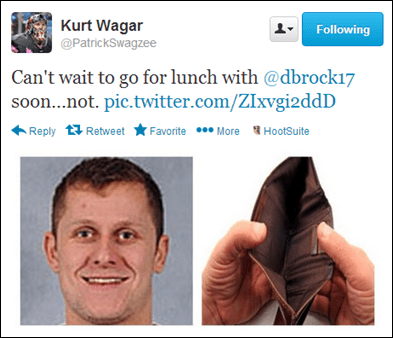 But the fact that Prout was a Knighthawk for a couple of off-season weeks is usually forgotten. After the Boston Blazers folded, Anthony Cosmo and Josh Sanderson were both selected in the dispersal draft by the Minnesota Swarm. Before the first round of the draft had even ended, Sanderson had been traded to the Rock, while Cosmo sat out half of the next season before being traded to the Bandits. Shawn Williams is another player who, like Sanderson, can measure the amount of time he spent on the Minnesota roster with a stopwatch. In July 2012, Williams was traded from the Rush to the Swarm for two second-round draft picks. 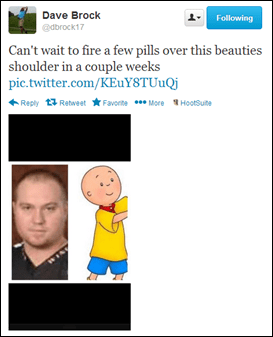 The same day, he was sent off with Brendan Doran as well as the #5 overall pick in the 2012 draft and two other 2012 draft picks to Buffalo for the #3 overall pick. That seems to me like an expensive way to move up two positions – and in fact, it really only moved the Swarm up one position since they went from having picks #2, 4, and 5 to having picks #2, 3, and 4. Paul Rabil might be the only player to have joined two separate organizations consecutively and never play for either of them. But this story begins six months before Rabil got involved. In the summer of 2011, the Wings traded Athan Iannucci, Alex Turner, Brodie MacDonald, and three first round draft picks to the Rush for Brodie Merrill, Dean Hill, Mike McLellan, and a couple of later draft picks. Nooch never signed with the Rush, and a month into the 2012 season, he was traded to the Stealth for Paul Rabil. Rabil also refused to sign with the Rush and sat out the rest of the 2012 season. Almost a year after the original Iannucci trade, the Rush sent Rabil to the Knighthawks for Jarrett Davis, but Rabil never reported to Rochester either. Only a couple of weeks before the 2013 season began, he was sent to Philadelphia along with Jordan Hall, Joel White, and Robbie Campbell in exchange for Dan Dawson, Paul Dawson, and a first round draft pick. Rabil is now happy in Philadelphia, and I’m pretty sure the Knighthawks were OK with what they got out of the deal. I’m sure there are plenty of others. Leave a comment if I missed any! I love me some trash talk. But it’s even better when it’s this early in the pre-season since I’m getting pumped about the upcoming season, so it’s good to see the players are too. Usually when you see trash talk, it’s game-related, but since the players are all friends off the floor, it doesn’t have to be. We even see some between teammates.